Vokollage is a friendly choir of about 35 musicians. The choir’s motto is: everyone can sing, only some still need to discover this talent. Over the past few years, Vokollage has sung some challenging repertoire in the last few years, including the Chichester Psalms by Leonard Bernstein and the Messa di Gloria by Giacomo Puccini. 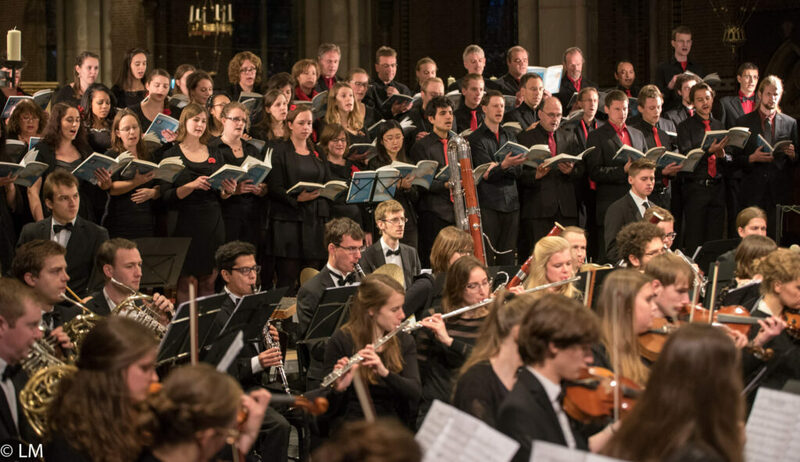 The choir regularly collaborates with resident orchestras Ensuite, Auletes and choirs from other parts of the Netherlands. Donia Surowiec, professional conductor and organ player, conducts the choir. Every Monday evening Vokollage rehearses from 19:30 until 22:15 on the campus of the university in Eindhoven, after which they can be found having some drinks at the bar. 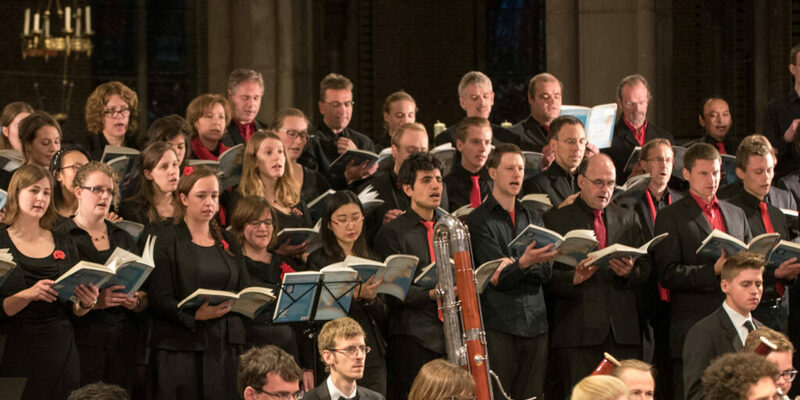 Are you interested in singing in the choir or would you like more information about Vokollage? Send an email to vokollage@esmgquadrivium.nl. Wilt u op de hoogte gehouden worden over onze concerten? Meld u aan voor de nieuwsbrief!